We’ve been hearing reports that Skype is debuting a mobile video chat service and D-Day has arrived. The company is launching a brand new version of its iPhone app that includes the ability to turn on video in any Skype chat. The beauty of the app is that it brings free video calling to iPhone 3G devices, iPad and iPod Touch, all of which couldn’t run Apple’s video calling feature Facetime (the feature only works with iPhone 4 devices and Mac computers). Of course, iPad owners won’t be able to initiate a video call, but these users can receive any video chats from contacts. Skype also says that the app allows users to video chat over both 3G and WiFi networks, allowing users to access the feature across a variety of connections. Skype’s iPhone app, which was one of the top five free iPhone apps in 2010, allows users to simply turn on the video feature to activate video chat. iPhone 4 users have the ability to use either the front facing camera or the back camera. The new version of the iPhone app is compatible with the iPhone 4, iPhone 3GS, and 4th generation iPod touch with i0S 4.0 or above. 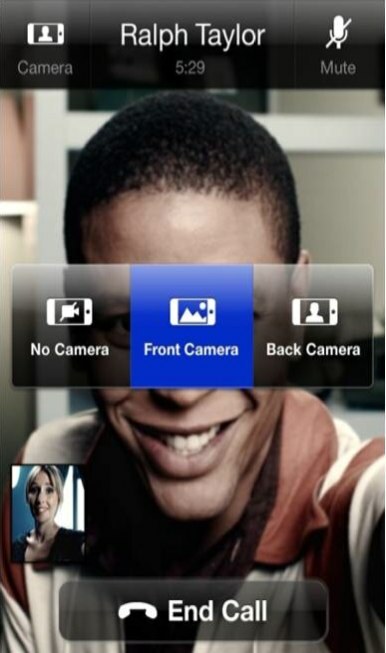 Users can receive video chat on the 3rd generation iPod touch and iPad. Calls can also be made between devices using the new Skype for iPhone app and desktops including Skype for Windows, Skype for Mac, Skype for Linux and ASUS Videophone. Osterloh adds that we can expect more mobile offerings in the near future, which seems to imply that video calling could be coming to its Android app as well. And while this new app does seem to compete with Apple’s Facetime, Osterloh is quick to add that Apple has been a “great partner” in the development of the new build of iPhone app (probably because Apple actually approved the app). This has been a tumultuous few weeks for Skype, which suffered a massive outage last week affecting tens of millions os users. Today, the company’s CIO Lars Rabbe revealed the causes behind the outage, which included a bug in the Skype for Windows client. And earlier this week, the company was hit with a patent infringement suit. Skype says that the release of the app was purposely made just prior to New Year’s, which is historically Skype’s biggest video calling day of the year (measured in calling minutes). 2011 should be a big year for Skype, as the company prepares for an IPO in the next year. With this event looming ahead, Skype has been working to expand usage of its service through enterprise offerings and new product development (i.e. Facebook integration). And we know Skype is going to make a big push to the cloud in 2011, possibly launching a web-based service early in the year. Besides for general consumer use, video calling could come in useful for Skype’s enterprise clients. The new feature definitely makes the technology a more compelling solution for conferencing purposes. And Osterloh made it pretty clear that mobile will also be a part of the company’s strategy to expand its userbase (Skype has an average 25 million consumers using the service at any given time). It should be interesting to see what Skype has up its sleeve in the New Year.